UT Football Fireworks | Just Shooting Memories! The week before the University of Tennessee played Alabama, I was taking a walk around Knoxville. I was taking photos around Neyland Stadium when I began hearing fireworks. I made it to this spot just in time to get the last few minutes of the fireworks. 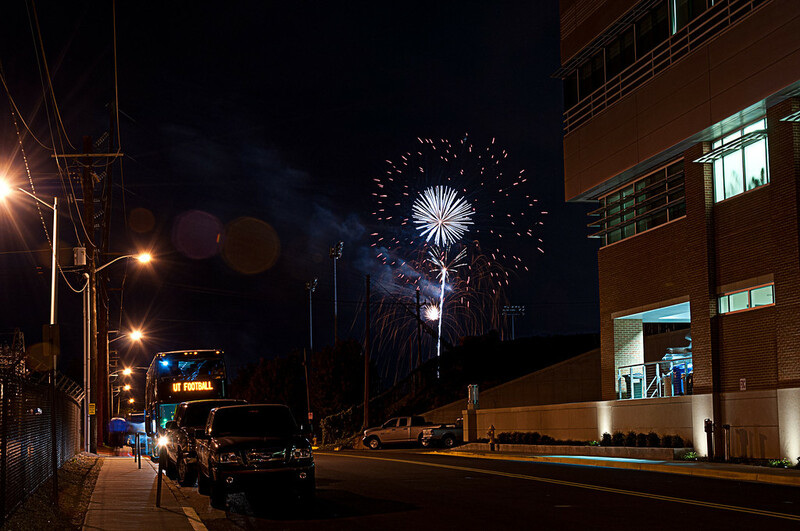 With the UT Football bus parked by the firework locations, I am assuming that it was a send off for the players, but I was never able to find out definitively. Talk about a fun run through the streets of Knoxville. I’m just glad I did not get squished.